Sweet Floweret: How do you like them apples? 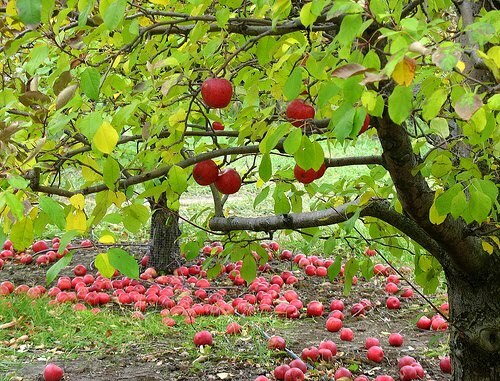 Pumpkins, apples, leaves, sweaters, fires, cider... What is not to like about fall? Seriously? Thanks to all who participated in my apple recipe search. I'm posting the 8 recipes that were submitted below. I've never tried them, but each person who submitted claimed they were tried and true! I plan on making at least half of these this fall. Why half? Well, the apple butter alone requires 10 lbs of apples, so I'd go broke buying apples if I claimed I'd make them all, right? If the person sent an email, I included their verbiage since I felt like it added a lot to the recipe. "Okay, ladies, so here's my mom's famous apple pie filling recipe. The best part? It freezes like a charm. So I pick all my apples, dump these ingredients all in ziploc bags, then freeze and use as needed throughout the year. Just defrost in the fridge and assemble. I also have a recipe to make 16 single pie crusts you can freeze in little patty shapes (Diane's recipe). So she and I do my pie filling and her dough and everyone is happy. Add apples and toss to coat. Stuff your pie. Vent the top crust. I like to brush the top crust with milk and sprinkle with cinnamon sugar. Cover edges of pie with pie shield or foil. Bake at 375 for 35 min. Remove foil and bake additional 30-35 min til top is golden brown. Bon Apetit!! By the way, baking one of these suckers in the dead of winter makes the house smell dreamy and makes me much less crabby." "Everything is better with buttermilk or sour cream or cream cheese. Everything. Love, Can't button my pants in Michigan. (Heidi)"
Pour cake into greased 9x13 pan. Mix topping together, sprinkle over top and swirl in slightly. Bake at 350 for 35-40 minutes." Rachael B. sent us her Apple Crisp recipe. Who doesn't love apple crisp? "Tried and true...adapted from Pampered Chef"
Place peeled and cut up apples in baking dish mix butter, sugar, cinnamon and cake mix together and mix until crumbly evenly distrubute over apples bake at 350°F for 40 minutes." "Doesn't get much easier than this! I used to make apple sauce using the food mill - WAY TOO much work, but it tasted so good. Tossed the food mill and now do it this way, even my mother in law uses this recipe and she's the one who bought me the food mill :) Your house will smell amazing! Another favorite - homemade carmel apples - follow the recipe on the back of the brachs carmel bag and roll in crushed peanuts - look out Affy Tapple, you got nothing on me! Oh and then there's apple french toast - the recipe they make at Royal Oaks Orchard....I'll have to copy it for you, too much to type out. But SO worth it!" Put all ingredients into crockpot. Should be about 3/4 full. Cover and cook on low 8 to 10 hours (high 3 to 4 hours). Um, yea, I want that apple french toast recipe. 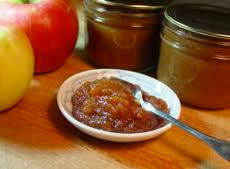 Amy sent us her apple butter recipe. Apple butter. MMMMMMMMMM. Wash and cup apples into fourths, cook in water until soft. Press thru a sieve.. or a Squeezo (ok, this is a marvelous but hard to find, tool.. but great!). boil cider down to 2 cups and then add cider and spices to apples and cook.. until it sheets from the spoon. Stir over low heat OR bake in a low heat oven.. almost forever!! It needs to get a nice deep brown and very thick! Pour into jars and seal. Process for 10 minutes in a hot water bath..
"Our family loves this.. and it makes your house smell DELIGHTFUL.. better than any candle!" Jennifer sent me an apple bread recipe. 1. peel and core the apples. dice into small cubes. 2. soften the butter and mix in the sugar. add in the eggs and and milk and mix completely. 3. combine the flour, baking soda, baking powder, cinnamon and salt in a large bowl and add to the wet ingredients. mix in the apples. don’t overmix; just break up any large clumps of flour and get everything moist. lightly mix in the optional walnuts. 4. carefully pour into a greased and floured loaf pan and bake at 350 F for one hour. remove from oven and let rest in the loaf pan for 10 minutes before turning it out onto a wire rack to cool. 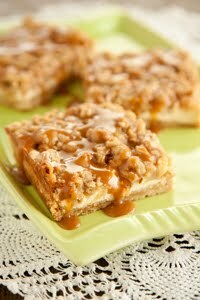 Finally, Caramel Apple Cheesecake Bars with Streusel Topping sent in by Kindra. WOW. These look amazing. In a medium bowl, combine flour and brown sugar. Cut in butter with a pastry blender until mixture is crumbly. Press evenly into a 13 by 9 by 2-inch baking pan lined with heavy-duty aluminum foil. Bake 15 minutes or until lightly browned. In a large bowl, beat cream cheese with 1/2 cup sugar in an electric mixer at medium speed until smooth. Then add eggs, 1 at a time, and vanilla. Stir to combine. Pour over warm crust. In a small bowl, stir together chopped apples, remaining 2 tablespoons sugar, cinnamon, and nutmeg. Spoon evenly over cream cheese mixture. Sprinkle evenly with Streusel topping. Bake 30 minutes, or until filling is set. Drizzle with caramel topping. Thanks a million, ladies. I can't wait to try these and hope that some of you reading will try them, too. In other news, have you seen our new product yet? We're excited about our rings. We'll be able to make these in many different colors. If you want one that's not pink, send me an email with the color that you'd like and we'll get it done for you. For $8.50, these will be great for gifts this holiday season. Don't you think? Lastly, I was able to attend Beth Moore's Living Proof event yesterday. Beth spoke on "the law of kindness" from Prov 31:26. kjv "she openeth her mouth with wisdom and on her tongue is the law of kindness." Great message. The best part for me was the opportunity to pray with a handful of women who came forward during an invitation to those who wanted some prayer. Wearing a blue walmart looking vest in front of 5000 women and standing at the front of the theater was daunting. As the women sang a praise song and I had to stand facing them (along with the other vest wearers), I was a little self conscious. Would anyone come to me for prayer? Why? Was my hair parted nice? Did my breath smell? Why a BLUE vest? Should I smile? Who the heck cares. I should have been pre-praying (yea, new word I just made up)! Women came. They needed prayer. Listening to their requests and praying with them humbled me so much. I would don a walmart vest 1000 times over for that opportunity. God is so good. He is so faithful. Less of ME-More of HIM. 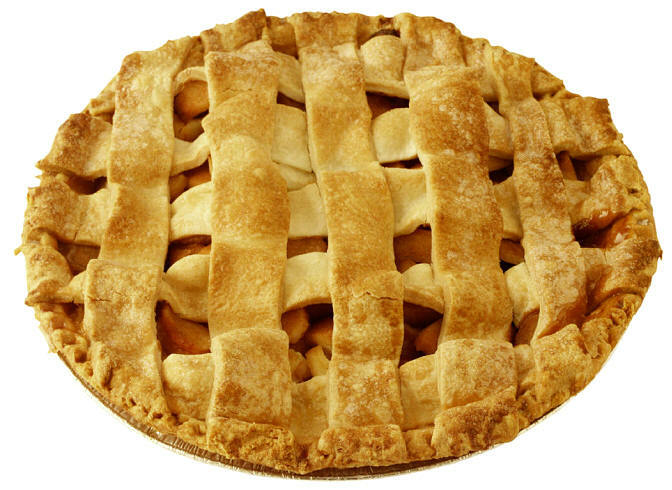 OK, now go show some kindness and bake someone an apple pie, for cryin eye!